As Harvey Dent says in The Dark Knight, you either die as the mildly crazy guy in Law & Order: Criminal Intent, or you live long enough to see yourself become multiple villains. 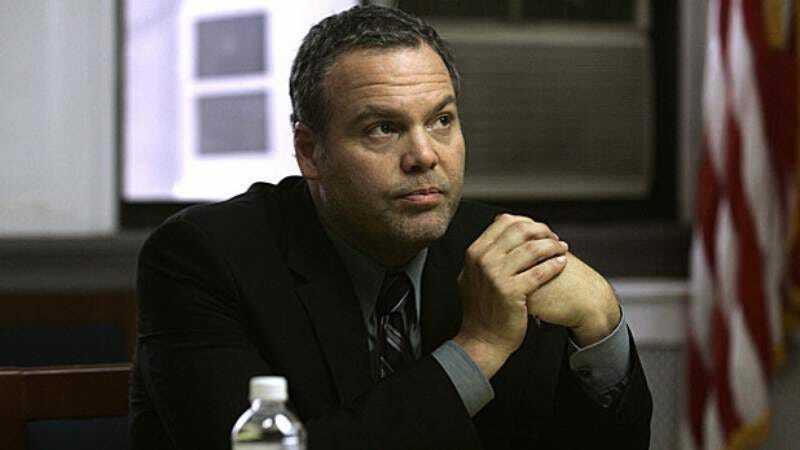 Evidently, Vincent D’Onofrio has now lived long enough, because after playing The Kingpin on Netflix’s upcoming Daredevil series, he might be taking on the role of the villain in Sony’s Magnificent Seven remake. That comes from Variety, which says D’Onofrio is still only “in talks” for the role, but he still seems to be enjoying a D’Onofraissance of sorts lately. The Magnificent Seven remake is going to be directed by Antoine Fuqua, and the script is currently being redrafted by John Lee Hancock (True Detective‘s Nic Pizzolatto wrote an earlier version). It’s going to star Denzel Washington, Haley Bennett, (maybe) Chris Pratt, and Ethan Hawke, plus a handful of other people who are probably being judged based on their magnificence.